The destruction of the World Trade Center towers was a horrible event, and has forever changed our world. Oddly, what took place that fateful day bears some similarity to a prediction Ellen White made at the beginning of the twentieth century. What follows is, in her own words, a vision or dream she had in late 1901. See if you think it lines up with what happened on September 11. On one occasion, when in New York City, I was in the night season called upon to behold buildings rising story after story toward heaven. These buildings were warranted to be fireproof, and they were erected to glorify the owners and builders. Higher and still higher these buildings rose, and in them the most costly material was used. . . . The scene that next passed before me was an alarm of fire. Men looked at the lofty and supposedly fire-proof buildings and said: "They are perfectly safe." But these buildings were consumed as if made of pitch. The fire engines could do nothing to stay the destruction. The firemen were unable to operate the engines.—Testimonies for the Church, vol. 9, pp. 12, 13. But I have no light in particular in regard to what is coming on New York, only that I know that one day the great buildings there will be thrown down by the turning and overturning of God's power. From the light given me, I know that destruction is in the world. One word from the Lord, one touch of his mighty power, and these massive structures will fall. Scenes will take place the fearfulness of which we cannot imagine.—Review and Herald, July 5, 1906, emphasis supplied. The time is right upon us when there will be sorrow in the world that no human balm can heal. Even before the last great destruction comes upon the world, the flattering monuments of man's greatness will be crumbled in the dust. God's retributive judgments will fall on those who in the face of great light have continued in sin. Costly buildings, supposed to be fire-proof, are erected. But as Sodom perished in the flames of God's vengeance, so will these proud structures become ashes.—Signs of the Times, Oct. 9, 1901, emphasis supplied. Skyscrapers would be built in New York City. These buildings would be considered fireproof. An alarm of fire would be followed by people on the ground saying that the "lofty" buildings were "perfectly safe." They would burn as pitch. The fire engines wouldn't be able to stop the inferno. The firemen wouldn't be able to operate their fire engines. The fearfulness of it all would be unimaginable. 1. Skyscrapers would be built in New York City. At the time Ellen White had this vision, the tallest building in the world was the twenty-six-story Manhattan Life Building in New York City, built in 1894. It remained the tallest for twenty-three years, until 1907. Then the race was on as place after place and builder after builder strove for the coveted title of tallest building. 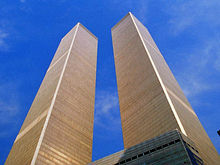 Finally, in 1972 and 1973, the twin towers of the World Trade Center were completed, and held that prestigious title until only 1974. 2. These buildings would be considered fireproof. Ellen White's specification that the buildings would be considered fireproof brings to mind the fact that modern buildings are composed of steel and reinforced concrete, materials that do not burn. This explains why such buildings are popularly called fireproof. "They told us there was an accident in tower one, that the fire department was on its way, that our building was secure and safe, and that we could return to our offices shortly," Hickey said. "They kept saying, 'Repeat, building two is secure, repeat, building two is secure,'" Simmons said. "A number of people did turn around." "'Stay where you are. This is a secure area. Please remain in the building. Stay where you are,'" Bartels recalled the announcer saying. "We didn't slow down. We just ignored it, kept on moving." It was 9:06 a.m.—"Lawsuits likely after WTC attacks," October 10, 2001, CNN.com. 4. They would burn as pitch. 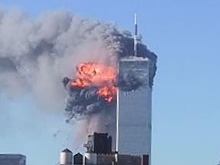 That the World Trade Center towers did burn like pitch, everyone in the world knows, for the planes that hit the towers unleashed their jet fuel with devastating consequences. And the pile of rubble kept on burning for months, hampering recovery efforts. Finally, on December 19, the fires beneath the rubble were declared extinguished. 5. The fire engines wouldn't be able to stop the inferno. Why couldn't the fire engines do anything to stop the blaze? The height of the buildings was not an issue for Fire Engine 6. 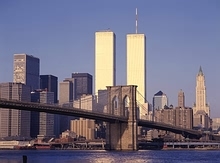 Because of its proximity to the World Trade Center, it had been equipped with a special pump that enabled it to spray water up to the top of the towers. But you can't use water on a jet fuel fire, and there was no suitable fire retardant at hand. Thus, the fire engines could do nothing. 6. The firemen wouldn't be able to operate their fire engines. So the firemen couldn't operate their engines to fight this kind of fire. 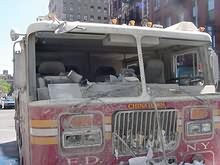 And if that wasn't bad enough, when the towers fell, over a hundred fire department vehicles became permanently inoperable. 7. The buildings would fall. The tallest four buildings of the World Trade Center, WTC 1, WTC 2, WTC 3, and WTC 7, all completely fell. Large portions of the three much shorter buildings fell as well. 8. The fearfulness of it all would be unimaginable. Yes, the whole thing was unimaginable: a) Hollywood script writers hadn't dreamed up a catastrophe quite like this one. b) Could the airlines, could the government, could the Port Authority have prevented all of this? No, we have been told, for no one imagined that something like this would happen. Did Ellen White's prediction include anything about why all of this happened? What about where she said that "in [these buildings] the most costly material was used"? What do critics have to say about the matter? We'll investigate these questions in "September 11: Why Did God Allow It?" and "A Critic's View of September 11." Was Ellen White's 1901 vision fulfilled on September 11?